Shani Jayanti (3rd June 2019, Tuesday) marks the birth of Lord Shani who is the son of Surya, the Sun god. He is the ruling deity of Planet Saturn. Puja timings (given in the table) should be considered for worshipping the deity. According to Vedic astrology, if the Saturn pierces and passes through the constellation of Rohini then it is considered to be very inauspicious and causes troubles in one’s life. However, Shani is known as the lord of punishment and justice. On this day one should worship him for his blessings. It is celebrated on Amavasya during Jyeshtha month (June-July) according to North Indian calendar and during Vaishakha (May-June) month in South. Also it coincides with Vat Savitri Vrat followed by many during June-July in North Indian states. About Lord Shani and why people generally fear him? Those who believe in astrology have a general perception about Shani’s being aggressive and wrathful. It is true that he brings havoc in life but one must understand his position. The Vedas are of the opinion that no deity empowered to execute cosmic tasks can ever harm or annihilate the existence of living beings because they are divine by nature. It is true that Saturn’s (Shani) malefic position in horoscope of individual delays success, causes endless struggles and gives disappointments. 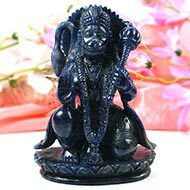 People are afraid of Lord Shani, the ruler of Planet Saturn that takes about thirty years to orbit around Sun, indicating that Shani casting his eyes on you slows your progress of everything in your life. Then why is Shani so aggressive? 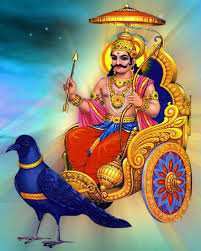 Being one of the nine planets, Saturn personifies Lord Shani that means Śanayē Kramati Saḥ; “the one who moves slowly”. As per Vedic scriptures, he is the elder son of Surya (Sun god) with Yama (the god of death) being the younger. Shani was born of Chhaya (Shadow) who was created by Sun’s first wife Saranyu upon being unable to bear her husband’s radiance.Lord Shani is the god of punishment, deliverance of justice and hardships. He gives the results of your actions throughout your life whereas his younger brother Yama gives the results of your actions after death. Vedic scriptures call Shani as the greatest teacher, well-wisher and punishment giver. He teaches hard lessons by putting you in the loops of struggles, hardships and at times frustrations, just to keep you grounded so that you refrain from daydreaming, being overambitious and creating inner fantasies. Once you learn these lessons, Shani rewards you to your heart’s content. With his blessings, the rich lose everything and the poor gain everything overnight. Whenever you face struggles, constant disappointments, failures or unfulfilled wishes, know that these are all Shani’s blessings working in the background to mold you for better. 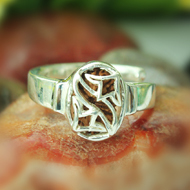 Chant Hanuman Chalisa and offer oil to Lord Hanuman on Saturdays during your hardships. 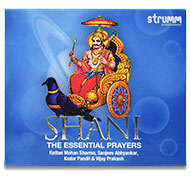 Also, you can chant the following Shani mantra after the sunset every day. What to do on Shani Jayanti? On this day thousands of devotees fast in order to please Lord Shani. A visit to Shani temples is the best way to contact an atmosphere that is energized by the constant chanting of Shani Mantras. Observe fast on this day from sunrise to sunset. Offer oil mixed with sesame to the lord. 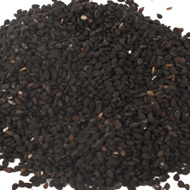 Black items such as black grams, sesame oil are dear to Shani. Take a single meal after pujas and prayers in the evening. Visit a Shani temple for prayers. It is best if the temple has Navagraha Shrine and a Pipal tree. Light up a diya (oil lamp) at Pipal tree in the evening and circumambulate around it for seven times. Once done, you may offer seven ladoos to a black dog. Recite Shani Chalisa in the evening. It is the most auspicious day for performing Shani Puja to appease Lord Shani. 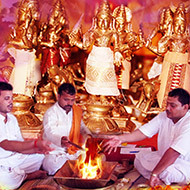 Shani Dosha Puja can be performed to minimize the effects of Shani.